►►US commander sees proliferation threat in Libyan chemicals. Libya’s stockpile of chemical warfare materials remains a potential source of proliferation, General Carter Ham, the US military commander for Africa, told reporters on Wednesday. In addition to chemical materials, Ham said he is concerned about shoulder-fired missiles falling into the hands of al-Shabaab, al-Qaeda in the Islamic Maghreb, or Boko Haram, the continent’s three major extremist organizations. ►►NRO spy satellites on time an on budget. Bruce Carlson, director of the US National Reconnaissance Office, has told reporters in Washington that every one of his agency’s programs is on time and on budget. This is seen as a success for the US intelligence community, which is known for botched and grossly over-budget programs outsourced to industry. 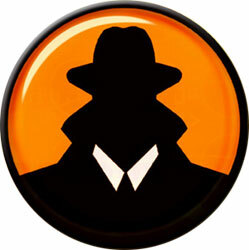 ►►Watchdog says Canadian spies must follow same rules abroad. A new report by the watchdog body for the Canadian Security Intelligence Service argues that rules governing the conduct of Canadian spies do not relax once they leave Canada. While it cleared CSIS of complicity in any detainee abuse in America’s ‘war on terrorism’, the report did criticize the country’s spymasters for lax record keeping and for sending CSIS officers overseas without sufficient guidance.